That includes on-staff patient counselors inside hospitals, as well as independent patient advocates, a relatively new profession that’s seen major growth as demand for advocates has increased over the past decade, says Trisha Torrey, founder and executive director of the Alliance of Professional Health Advocates (APHA), a membership support organization for independent patient and health advocates in the United States and Canada. Working with patient advocates could be a critical component to ensuring your patients’ medical and financial engagement at your organization. Patients can also hire advocates who are independent professionals. These independently hired advocates work for the patient, and patients pay for the advocate’s services out of their own pocket. Because the independent advocate profession is so new, there aren’t currently any educational or certification requirements, says Torrey. “You could hang out your shingle tomorrow and say you are a patient advocate,” she says. In addition, APHA runs the online AdvoConnection Directory, which helps patients find an advocate based on their needs and location. Torrey says about half of APHA’s members are included in the directory, and in order to be listed, advocates must meet certain criteria, such as having liability insurance, certification, or a background check. Despite the profession’s growth, not all patients can afford to hire a team of people to guide them through their healthcare journey. Independent advocates’ rates range from a low end of $75–$100 per hour, to a high end of more than $400 an hour, says Torrey. 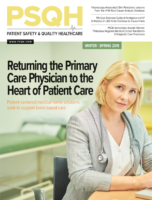 “I think when it comes to clarification around care and getting your concerns addressed, it tends to be the people that have lower levels of medical literacy [with the greatest need], which also tend to be people who don’t have a lot of resources,” she says. That’s why it’s important for hospitals and health systems to not only welcome independent advocates and those from nonprofit organizations, but also offer these services themselves. Torrey says in the early days of independent patient advocacy about a decade ago, most clinicians “wanted little to nothing to do with us.” The perception was that advocates would be tattletales, reporting every nurse call button that took too long to answer, or be an annoying extra person in the exam room. For instance, advocates can make sure patients understand and follow discharge instructions, potentially reducing complications and readmissions. Torrey says there isn’t research specifically linking patient advocates to better outcomes, but data suggests that engaged patients have lower adverse events. Bayer says that Cleveland Clinic is currently exploring quantifying the success of their ombudsman office, which serves as the role of a patient liaison, but doesn’t have data it can share yet. Wilson agrees, saying the PAF doesn’t have adversarial relationships with hospitals or insurers; rather, they have productive partnerships and good relationships with everyone they work with, resulting in positive outcomes for all parties. “Instead of a patient who’s got a pile of bills that they won’t even open, you’ve got somebody who’s helping them understand what those bills are, how to pay for them, [and] working with the hospital and provider,” she says.